National Insurance contributions will be increased to fund the National Health Service, the chancellor has said. Mr Brown also unveiled a series of measures which he said would put families first. 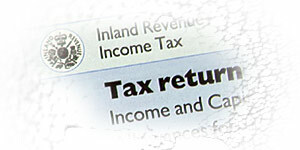 These are aimed at helping the lowest earners through the tax system. He also announced a new scheme designed to encourage couples without children back into work. Duty on spirits, petrol, wine and beer will not increase, although cigarettes are going up. But punters will not have to pay betting tax on bingo games. And people who drive the least polluting cars, vans and motorbikes will be rewarded with cheaper tax discs. From April 2003, the rate of national insurance (NI) for all employees, employers and self-employed will increase by 1% on earnings above �4,615. This is basically a tax increase, he has broken the Labour party manifesto. The chancellor said this would mean that a full time worker, on an average income of �21,400 a year, would pay �3.70 a week more. He froze the upper ceiling at which national insurance is paid to �30,940 from April 2003, but employees and the self-employed who earn above this amount will continue to pay the additional 1% beyond the ceiling. For employers there is no upper limit, so they will also pay the extra 1% on any employee's earnings above the �4,615. Chas Roy-Chowdjury, of the Association of Chartered Certified Accountants, accused the chancellor of being economic with the truth in his speech. He said: "This is basically a tax increase, he has broken the Labour party manifesto. He has hiked the basic rate of income tax plus effectively abolished the upper earnings limit. He now has to tell the truth." Julian Jessop, an economist at Standard Chartered Bank said: "He's basically raised all the money that he needs from a single tax and...it's a tax that hits middle income households particularly hard". Many unions were broadly in favour of the budget measures. John Monks, TUC general secretary said: "While no-one likes paying extra tax, the country knows that it cannot have excellent public services without paying for them. The benefits workers receive from their employers, such as company cars and medical insurance might also be hit because national insurance is paid on these benefits. Pensions, though, will be exempt. The lower earnings threshold will stay at the current level of �4,615 and that means the National Insurance tax increases will be more keenly felt. The UK's poorest families are in line for bigger handouts from the Treasury. It will certainly help many children in poorer families. The chancellor said the tax and benefit changes meant half Britain's families with children would be better off, even with the increase in national insurance. The government will introduce a new child tax credit next year for families with incomes up to �58,000. There will also be extra help for child care, including help with approved child care in the family home. Gill Haynes, chief executive of the National Childminding Association welcomed the announcement. "It will certainly help many children in poorer families and reflect the needs of many working parents," she said. Smokers will be hit with a 6 pence rise in the cost of a packet of 20 cigarettes, but drinkers will not have to pay any extra duty on beer, spirits and wine. The chancellor has also frozen the duty on fuel. Following cuts in previous budgets, there were further reductions in Vehicle Excise Duty to �30 for the least polluting cars, �55 for the most fuel efficient vans and �35 for the least polluting motorcycles. And that move won him praise. Alan Pulham, of the Retail Motor Industry federation said: "We are delighted that the chancellor has not milked motorists and the motor industry".